24 Hour Home Care is honored to have been selected by the State of California – Regional Centers to provide respite care to special needs adults and children and their families. Our Caregivers are experienced and receive extensive, diagnosis-specific training and are well-prepared to work through challenging behaviors in children and adults. You may also have a family member who can assist with providing care for your loved one. 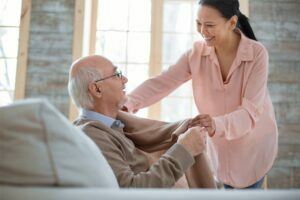 We can support you by providing respite care using our trained caregivers, or provide you with the documentation and enrollment forms if you have a family member who can help. We support various regional centers (see alphabetical list below) and you may be eligible to receive respite care. Please contact us to receive the latest forms, applications and time sheets and please don’t hesitate to reach out to us for any other inquiries or questions. We look forward to helping and serving your needs. To contact the Department of Developmental Services directly, please visit www.dds.ca.gov/ or call (916) 654-1987.